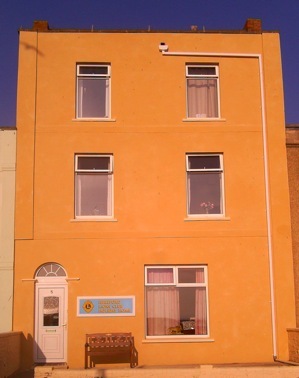 After providing free seaside holidays for local people in need for almost four decades, the Hereford Lions Club Holiday Home at Burnham-on-Sea on the Somerset coast is to close. Announcing the ‘painful’ decision not to re-open next Spring, the club said a combination of factors building up in recent years had led to the closure of the seafront property which had given free holidays to some 200 people each year, including transport to and from the home in the Lions mini-bus driven by club members. The closure was a result of escalating costs for maintenance, energy, council rates, fire and safety regulations as well as increasing fuel costs and repair bills for the mini-bus. Bookings from residential homes for the elderly and the disabled had dried up because of the financial cutbacks. The club said it had to take account of changes in social trends, ever rising costs and the demands of running such a major enterprise put on its own members, many of whom are now pensioners, but even so it had been a heart-breaking decision to make.